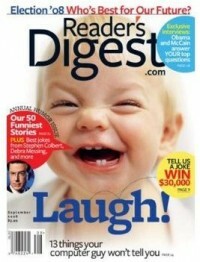 Tanga is offering up a 1 year subscription to Readers Digest magazine for $4.99! Just use coupon code DIGEST at checkout. You can purchase up to 4 years at this price.